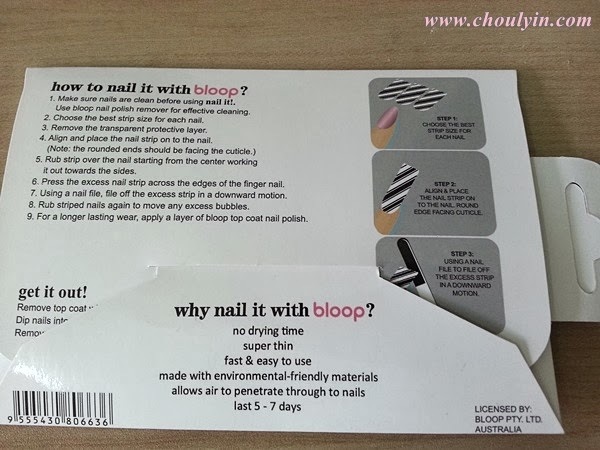 But apart from celebrating with loved ones, I celebrated in style as well, with my bloop nail strips, which I will be reviewing in this post, thanks to HiShop and bloop! 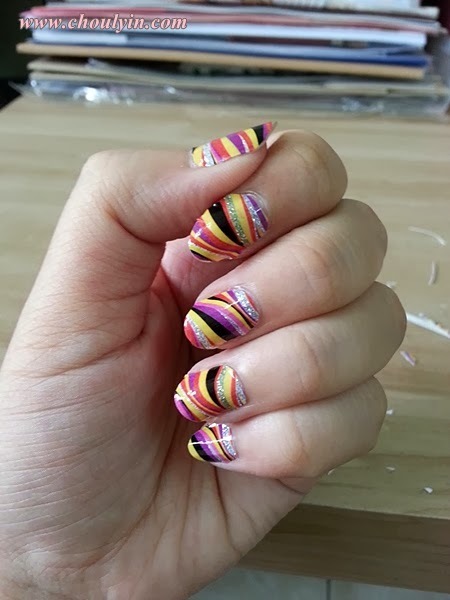 The Nail Strip I got was the striped version. It comes with a strip of 12 stickers, with the extra two being the larger sized one so that you could cut it down to size in case anything else goes wrong. So when you are done with your sizing, peel off the top clear layer, and remove the sticker from the backing. Then, carefully stick the nail strip down onto your nails, being very careful to align them exactly the way you have cut them. The sticker is REALLY THIN so you have to be careful when handling them. Once you have aligned them carefully, press down in the middle and slowly press it in place from inside to outside, so that you don't get any air bubbles. 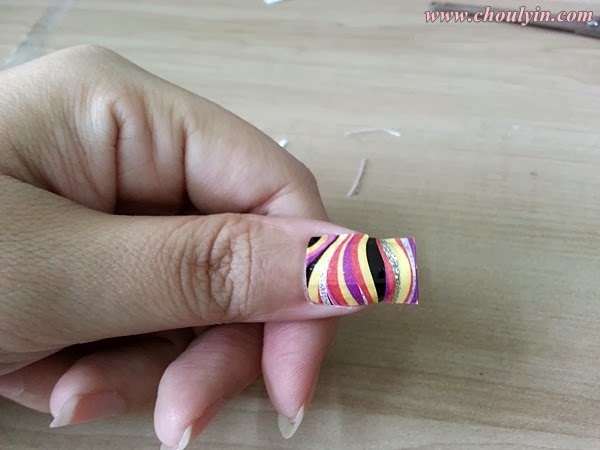 Once you are done, take the nail file, and place it vertical to your nails. 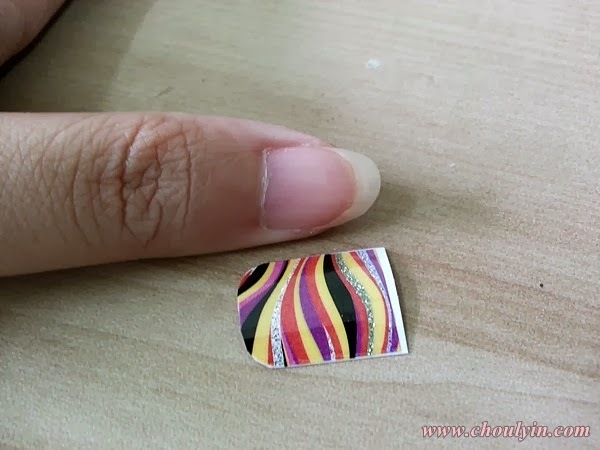 Slide them down in one fluid motion, in order to file off the nail strips. 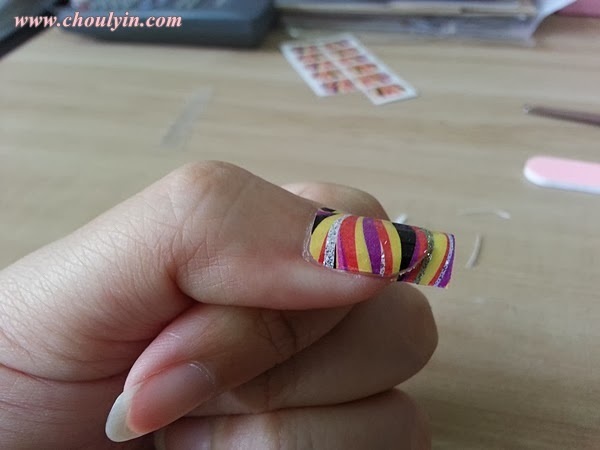 Be firm when you file your nails down, but don't use too much force, else you will also file off your nails at the same time, and leave jagged sides. So once you have filed the excess sticker off, this is how it looks like :) It's up to you if you want to put a layer of top coat to protect the sticker, but personally for me I didn't. I wanted to check how long the strip will stay on my nails without any top coat. Verdict: 8/10. The nail strips are quite thin, and you can barely feel that they are there. While it's a little hard to put it on at first since this is my first time trying them out, I got the hang of it after a while, and I really like how easy it is to just apply. It definitely saves a lot of drying time, and I can immediately go about doing my work after I have applied them. So did you like the nail strips? 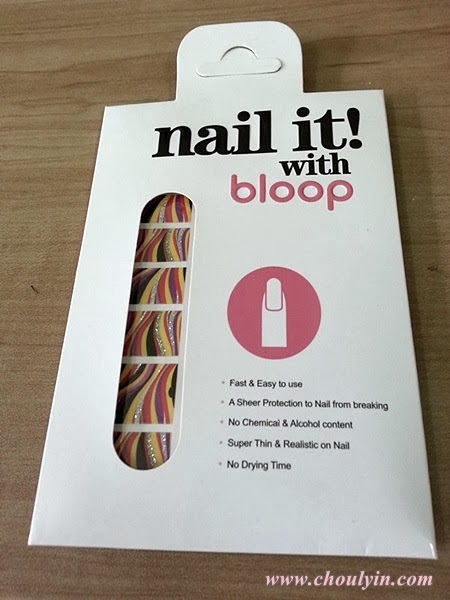 Specially for my readers, HiShop is giving you guys an exclusive RM20 rebate if you purchase these nail strips from HiShop! 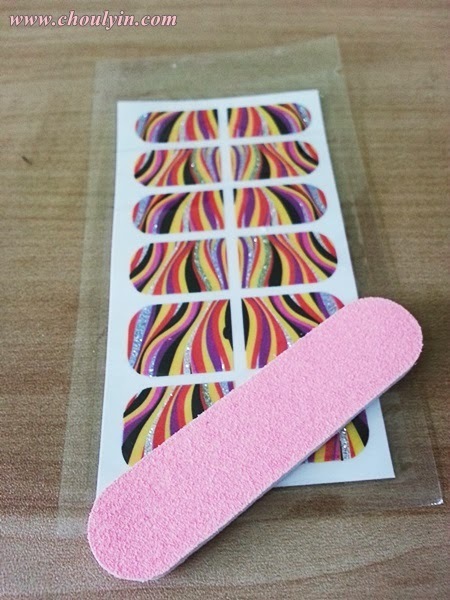 Just head over to http://www.hishop.my/nail-wraps?brand=20 to check out their array of Nail Strips, and key in the voucher code below to be entitled for your RM20 rebate!